The shimmering pink textile upper on the Leandra open toe shoe is exceptionally soft, plus the way it creatively wraps across the foot to flatter and support it makes it a stylish offering that is also comfortable. 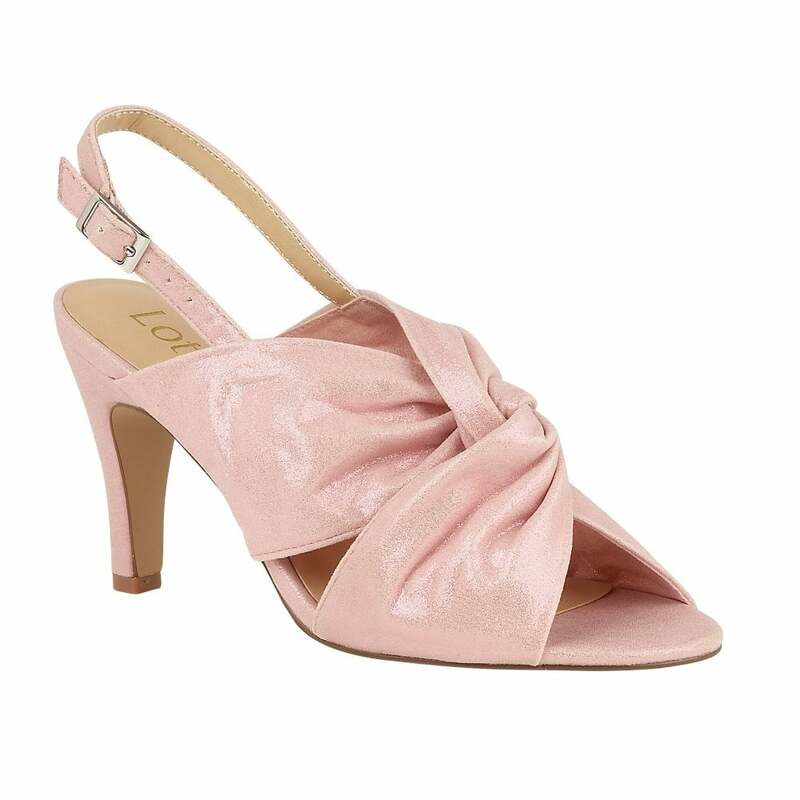 The addition of an adjustable ankle strap and a mid-height stiletto heel further enhances the wearability of this Lotus ladies’ shoe. For special occasions, team the Leandra with the matching Lotus clutch bag Thorney.